Our New Balance Shop at Gazelle Soccer has our game uniforms and several New Balance items like warm ups, backpacks, hoodies, and polos. 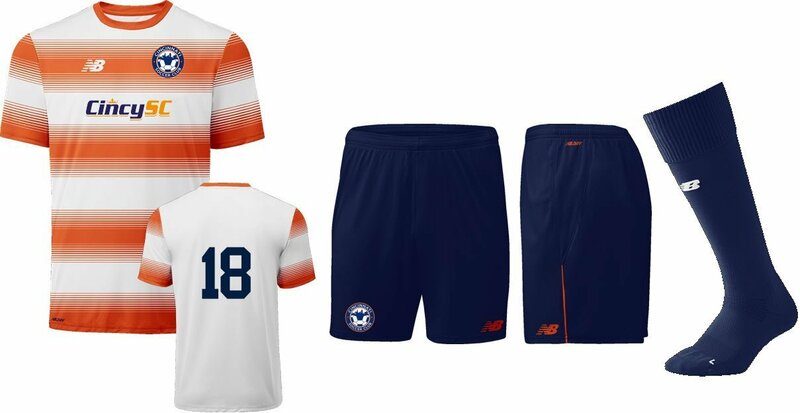 If you have questions about an order, please contact Gazelle Soccer at 616-940-9888. For sizing, check out this online New Balance Sizing Chart. A broader selection of casual wear can be purchased from our Cincy SC Fan Wear Shop.